Holt Renfrew Flagship Renovation Nears Completion: Holt Renfrew has been renovating its CF Pacific Centre flagship in Vancouver for the past couple of years, coinciding with an expansion that grew the store to about 188,000-square-feet over three levels. Recently completed areas include a street-level accessories hall, second floor women’s ready-to-wear and this spring, the lower-level Holt’s men’s store will unveil new luxury boutiques. The accessory hall has recently seen the addition of Loro Piana, Bottega Veneta, Céline and Dior boutiques — Dior is a concession and joins completed spaces for other concessions such as Gucci, Prada and most recently, Burberry. The Burberry accessory concession is a new concept, featuring an enhanced design with minimalist shelving in matte charcoal finish and mirrored cabinet fronts. The floor is a diagonal modified chequerboard in white and black, with recessed lighting, and high ceilings. Other accessory shops include the likes of Chloé, Azzedine Alaia, with Fendi, Hermés watches, Miu Miu and Givenchy, expected to be unveiled by the summer — it is the best accessory hall in Canada. On the women’s floor upstairs, Holt’s has unveiled new spaces for brands Céline, Brunello Cucinelli, Miu Miu, and Azzedine Alaia. Holt Renfrew’s strategy is to present collections in large shop-in-store spaces that include a mix of concession and Holts-operated boutiques. A Fendi men's boutique opened recenetly and opening soon on the men’s floor, as well, will be boutiques for Brioni and Moncler. Holt’s Vancouver men’s store competes with the Toronto Yorkdale store for the best offering of luxury menswear brands — and that might be the case for a while, because rumour has it that the Holt Renfrew Men’s store at 50 Bloor Street West could shutter this year. Matt & Nat to Open at CF Sherway Gardens on March 15: Eco-friendly fashion brand Matt & Nat will launch the company’s second GTA store next week in CF Sherway Gardens in Toronto. Easily recognizable with its bright white clean interiors with circular lighting, the stores are both welcoming and chic. Founded in Montreal in 1995, Matt & Nat (short for “mat(t)erial” and “nature”) is known for its cruelty-free product lines and since launching in 2007 has remained true to its commitment to not use leather or any other animal-based materials in its bag and accessory designs. Product linings are made of fabric created with 100% recycled plastic bottles and the company has been utilizing recycled bicycle tires in their latest collections. Originally launched as a handbag and small accessory brand, Matt & Nat followed-up with footwear, and now offers keychains, wallets and sunglasses, lifestyle bags (ie. yoga, crossbody, diaper), and a selection of pet accessories for dog lovers. Consumers are lapping up the plant-based offerings and expect new product lines as the 2018 and 2019 collections are revealed. The company wholesales to retailers in Canada as well as globally, and it also has a robust e-commerce business at mattandnat.com/shop. Reigning Champ Launches Flagship on Robson Street: In July 2017, Retail-Insider published an extensive overview of downtown’s Robson Street and the upswing in retailers interest in what was once the definitive ‘place to see and be seen’ for Vancouver shopping and dining experiences. As the dynamic duo of Martin Moriarty and Mario Negris of CBRE, continue to broker deals, the street is hitting its stride. The latest company to take up residence is Vancouver-based retailer Reigning Champ. In what was music lovers’ paradise, HMV, at 1148 Robson Street, the 3,000-square-foot flagship space brings the brands premium athletic clothing and streetwear to downtown. The brand currently has three other Canadian stores, one in Kitsilano and two in Toronto, and recently celebrated 10 years of business in 2017. Part of the CYC Corporation, which includes respected streetwear brand Wings+Horns and also works with Supreme, Reigning Champ offers basics such as hoodies, sweatpants, sweaters, and tee shirts for both men and women utilizing a monochromatic palette. CYC Corporation owns its own factory in Vancouver and, in addition to the garments being incredibly practical and durable; the Reigning Champ products satisfy the ‘Shop Local. Buy Local.’ mantra that west coasters find so attractive. Shanghai Baixin Stationery Co. Crossing Pacific with 1st North American Location in Vancouver: With the popularity and near cult-like following of Asian retailers Uniqlo, Muji and Miniso in Vancouver, is it any wonder that Shanghai Baixin Stationery is heading to Canada to set up shop later this year? Martin Moriarty and Mario Negris of CBRE Vancouver brokered the deal for the Shanghai-based company at 533 Granville Street with a size of 1,690-square-feet. This is in immediate proximity to Holt Renfrew, Joe Fresh, Tip Top Tailors, and next to Lebanese concept restaurant Zaatar y Ziet. Close to transit hub, Waterfront Station, shoppers seeking colourful and affordable stationery will have no problem accessing that which they desire. 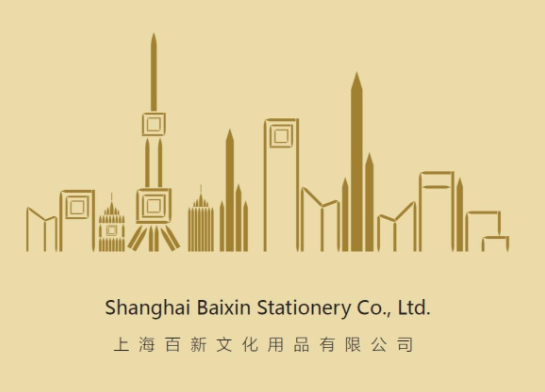 Founded in 1912, Shanghai Baixin Stationary Store, formerly known as Baixin Bookstore, has over 100 years history in retailing school supplies and office supplies in Shanghai. Aimed to appeal to students, businesses, the company provides trendy stationery and office supplies, including renowned local and imported brands Parker, Scheaffer, Pilot Juice, and Stabilo. While we have no renderings of what the finished store will look like, consumers with a penchant for colourful and quirky stationery will see the doors open sometime in the spring/summer. Squish’s Gourmet Gummies Captivate Southgate Centre: North America’s first artisanal candy store specializing in over 100 flavours, the Montreal-based Squish Candy, opened their latest location in Southgate Centre in Edmonton. Squish Candy recently announced that it has plans to expand across Canada with approximately 30 stores in the next two to three years. The U.S. market is also being explored as the innovative and fun gummies continue to captivate shoppers with their intensive flavours and vegan options. Gummy connoisseurs welcomed the switch-up from the traditional fruit-based flavours to Squish’s unique ones which are split into five categories: Fruity (fruits and berries), Intense (spicy chillies, super sours, salty-sweet), Decadent (milkshake, gooey marshmallow, Calm (tea, fresh mint), and Cocktail (Champagne bubbles, rum cocktails). The gummies are non-GMO, fat-free, vegan or vegetarian, with no artificial colours or flavours. The first Squish store opened in 2014 in Montreal and currently, there are multiple stores in Quebec and Ontario, one in Alberta, and one in Vancouver inside Hudson's Bay within the Top Shop on the Lower Level. FAO Schwarz Readies for a Landing in Canadian Airports: Iconic NYC-based toy retailer FAO Schwarz has announced that it will be continuing its massive expansion as part of its revival which was launched in 2017. The closing of the famous New York City store two years ago obviously did not signal the death knell for the legendary toy store! Beloved by children of all ages and memorable for its appearance in Hollywood movies such as Miracle on 34th Street, Tom Hanks’ Big, Baby Boom with Diane Keaton, and the classic Eyes Wide Shut with Cruise and Kidman, the legacy of FAO Schwarz is destined to continue. Having launched shops with over 5,000 U.S. retailers last year, FAO Schwarz has signed an agreement with Hudson Group, one of the largest travel retailers in North America, to open a chain of FAO Schwarz-branded airport shops in Canada and the U.S. with the first slated to open later this year. Internationally, the toy retailer said last Thursday that it will open locations in Beijing and Shanghai this year through collaboration with China’s largest toy distributor, Kidsland. There will also be an additional 30 smaller FAO Schwarz stores and shops in 200 department stores across China in the next five years.